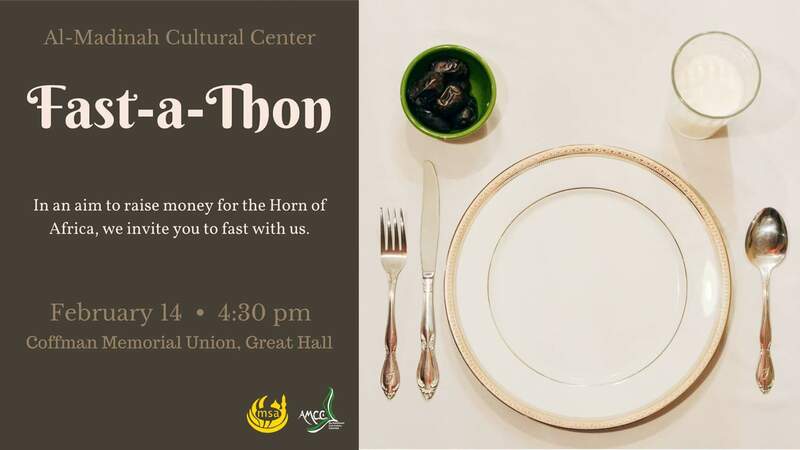 ​The Al-Madinah Cultural Center and the Muslim Students Association would like to request of you to fast Tuesday, February 14 in an aim to raise money for the American Relief Agency for the Horn of Africa (ARAHA). For every pledge to fast we receive, our sponsors will donate to the organization. We also encourage you to join us in breaking your fast at the end of the day and to learn more about our cause in Coffman Memorial Union in the Great Hall.